Within months of building D14 Claud Hamilton, James Holden introduced a freight 0-6-0 version of the design. Using the same boiler and cylinders as the D14s and a large two window cab, the new Class F48 locomotives were the UK's largest 0-6-0 tender locomotives at that time. The Great Eastern Railway (GER) built sixty Class F48 engines between 1900 and 1903, in six batches of ten each. Fifty nine of these original locomotives were fitted with the original round-topped firebox design used on the D14 4-4-0, and they would be classified as J16 by the LNER. The exception was No. 1189 which was built with a Belpaire firebox as a comparative experiment. The experiment was deemed a success, and the Belpaire variant of the F45 entered production. A total of thirty new Belpaire 0-6-0s (GER Class G58) were built in three batches between 1905 and 1911. No. 1138 was then included in GER Class G58. The LNER classified the Belpaire locomotives as J17. The GER started to rebuild round-topped J16s as Belpaire J17s in 1921. Forty six J16s remained at Grouping (1923), and all had been rebuilt by 1932. The GER started to fit superheaters to the Belpaire J17s in 1915. All but three of the J16s had superheaters fitted at the same time as the Belpaire fireboxes. 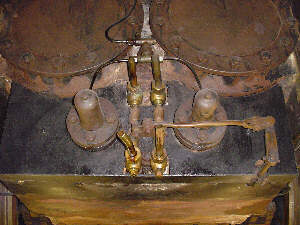 Three exceptions received second-hand saturated Belpaire fireboxes in 1926-9. These had superheaters fitted in 1930-1. The superheaters were of the 18 element Robinson type, as fitted to the D15 4-4-0s. The fitting of superheaters was also accompanied with the fitting of 6in longer smokeboxes, and the fitting of a new balanced pattern of slide valve. It has been speculated that the J17s may have been rebuilt with the round-topped fireboxes used on the D16/3s after the J18 & J19 locomotives had been similarly rebuilt in 1938. It appears likely that this was never seriously considered due to the outbreak of World War 2, and the fact that the J17s were considered to be almost life expired. World War 2 actually extended the life of the J17s, and new boilers were built until 1954. A number of D14 Claud modifications were also duplicated on the J16s and J17s. These included the replacement of early low roof cabs by 7in wider cabs with higher roofs. However unlike the Clauds, the J17s kept their wooden cab roofs through the 1930s and only five J17s finally received steel roofs in the 1950s. The J16s and J17s were initially built with Dewrance or Stone sight-feed lubricators. These were replaced with Wakefield mechanical lubricators at the time of superheating. In common with most GER types, these locomotives were built with Ramsbottom safety valves which were replaced by Ross pop safety valves by the LNER. Conversions started in 1925, and at least one J17 was still fitted with Ramsbottom valves at Nationalisation (1948). All ninety locomotives were initially allocated to March and Peterborough for use on coal and heavy goods trains. They continued to haul these services well after Grouping (1923). 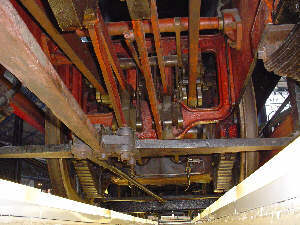 The continued to be concentrated at March and Peterborough past 1931, when larger engines were beginning to appear on these workings. In 1931, the J16s & J17s were allocated to: March (60), Peterborough East (10), Stratford (8), Norwich (5), Parkeston (4), King's Lynn (2), and Cambridge (1). During the 1930s, the J17s tended to be displaced to subsidiary and branch line duties with the introduction of eight-coupled goods locomotives. 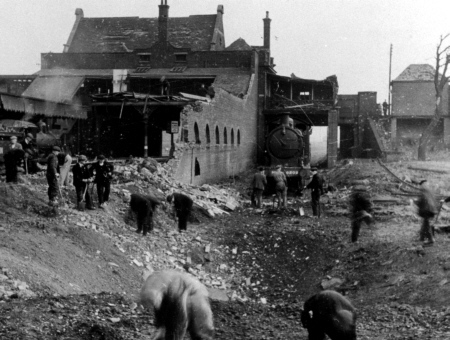 In 1942, many were moved to the former Midland & Great Northern Joint Railway (M&GN) to replace withdrawn locomotives. Seventeen J17s were fitted with vacuum ejectors and steam heating apparatus in order to haul passenger services on the M&GN. Although they were not designed as passenger locomotives, the J17s performed reasonably well and were capable of faster running. After Nationalisation (1948), the J17s were displaced from the M&GN by Ivatt 2-6-0s. During the 1950s, ex-M&GN J17s were occasionally seen hauling emergency passenger workings in the GE Area. The first withdrawal was No. 8200 after sustaining extensive damage from a V2 rocket explosion in November 1944. Normal withdrawals started in 1954 and were rapid. The entire class was withdrawn by the end of 1962. One of the last J17s to be withdrawn was No. 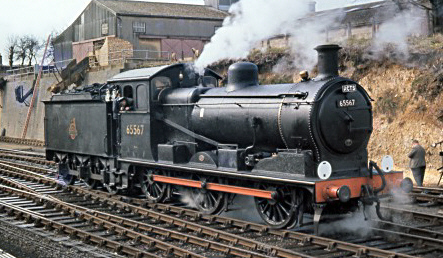 65567 which has been preserved as a part of the National Collection. Cylinders (x2): (inside) 19x26in. 19x26in. 19x26in. Heating Surface: Total: 1624.38 sq.ft. 1678.84 sq.ft. 1429.9 sq.ft. Firebox: 107.8 sq.ft. 117.7 sq.ft. 117.7 sq.ft. Grate Area: 21.6 sq.ft. 21.6 sq.ft. 21.6 sq.ft. 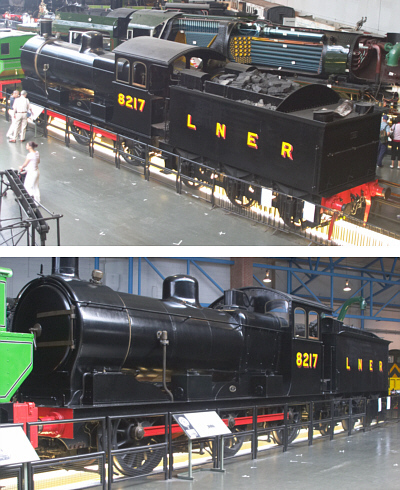 One J17, No 8217, has survived into preservation, and now is a part of the National Collection at York. J17 kits are available for 4mm scale (OO gauge) from PDK and Crownline. DMR sell a kit of the J17 for 7mm scale (O gauge). Thank you to Rob Marsden for the two external photographs of the preserved J17 No. 8217. Thank you to Malcolm Peirson for the photograph of LNER No. 8163. Thank you to Edwin Maycock for the photograph of J17 No. 8202 caught in the bomb damage at Chadwell Heath station. This photograph was taken on 20th April 1941 by Tomas M. Spurge of the LNER's Southern Area Engineers Department. Thank you to the Mike Morant Collection for the photograph of BR No. 65567 at Swaffham.